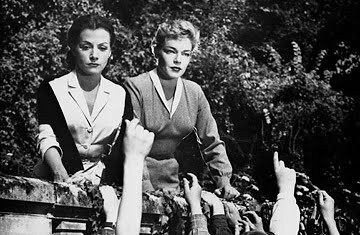 As many of you know, I am an enormous fan of classic cinema. 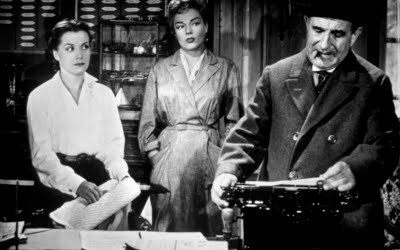 Though there are, of course, still good movies being made today, I often feel there's a little bit lost in it as an art form. Or at least the art form that I tend to prefer, certainly. The silent movies of the 1920s. The sophisticated talkies of the 30s. The gritty 1940s. The method angst of the 50s. The rebellion of the 60s. And the analysis of the 1970s. I love everything about great cinema--the scripts, directing, acting, cinematography, costumes, art production. Everything. There is so much to appreciate and you always gain something when you spend your time watching it. Turner Classic Movies is definitely the main source for my addiction...I mean, passion. 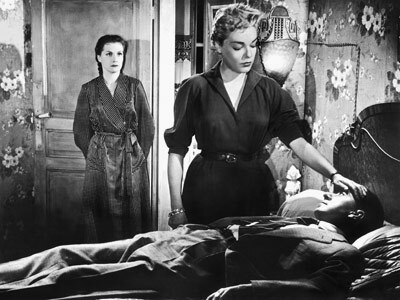 Last night was Diabolique, a 1954 French thriller written and directed by Henri Georges-Clouzot. The story is built around three characters--the husband, the wife, and the mistress. 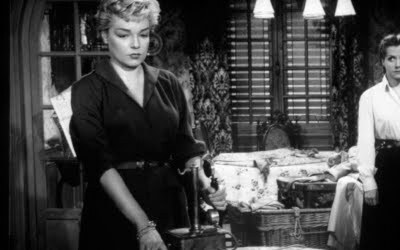 The husband is bad about a dozen different ways...sadist, misogynist, you name it, and it's bad for both of the women. The wife and mistress actually grow to become friends and eventually conspire to do away with the problem of the husband. The story is one that builds slowly and steadily, and suddenly you are in the midst of a movie that rivals Psycho and Vertigo in its intensity. 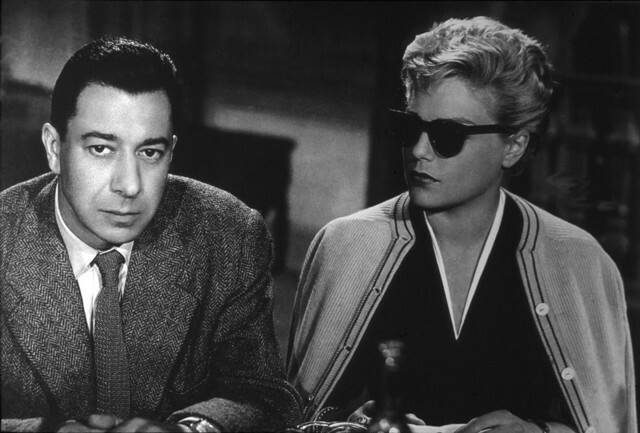 Alfred Hitchcock, in fact, was very influenced by Clouzot as a director. 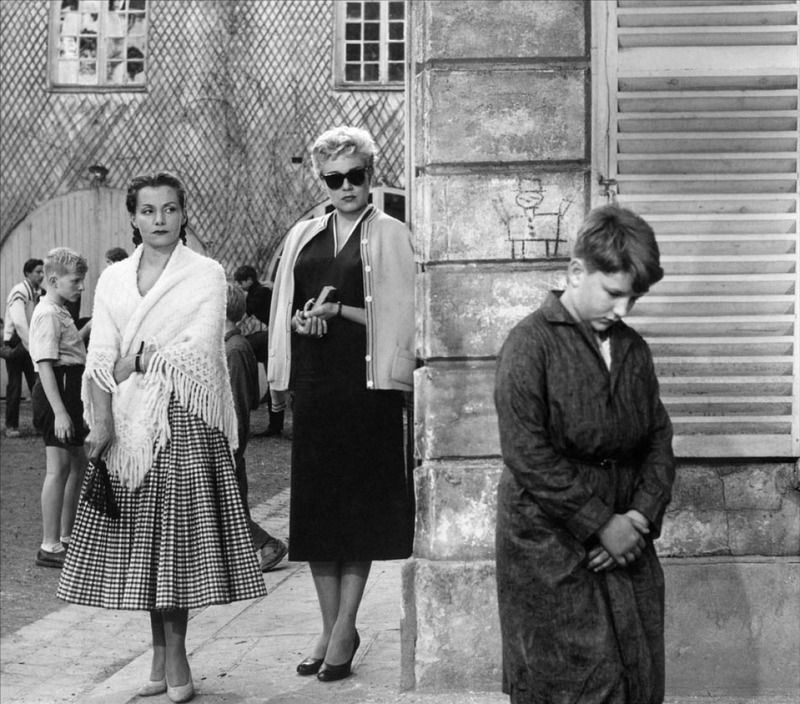 In addition to the suspenseful plot, one of the things that I love most about Diabolique is its style. But of course...it's French, right? 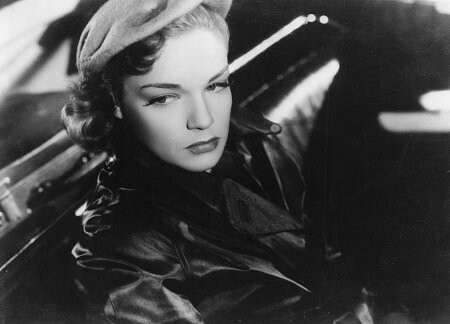 Beautiful black and white cinematography, the sensual Simone Signoret, and simple yet very stylish costumes. The perfectly tailored dresses and separates are timeless--you could easily wear their wardrobes, particularly Simone's, and look stunning today. Murder never looked so good.